We’ve compiled a list of wedding photography FAQ’s. Something else? Fab! Email hola@orianaphotography.com or send a message here. Q: What is your approach to wedding photography? For the photos. . .
A wedding is a rare moment with people you love and that you’ve chosen to have present. During the day, the majority of my coverage will be moment-driven (capturing candid moments as they occur). The main exception to moment-driven is during portraits and family formals, where I will gently pose and guide you so you feel comfortable. For example for family photos I give prompts to help everyone look their best, maybe laugh, and show a genuine smile. At other times I am keenly photographing candid interactions. I photograph with my heart and with an eye for people. My approach allows me to deliver photography that captures natural expressions of joy & connection… loving looks, embraces, and helping hands throughout your day… and images to show the personalities of your friends, family, and your life partner. All infused with spirit and celebration. My goal is to create great photography that engages your senses and transports you to the love present for your wedding. I want to capture the emotion, love and beauty that will be all around you. Outside of photos. . .
Before, during, and after the wedding, I am dedicated to making your wedding photography experience excellent. Not only do you deserve excellence, but also your photos will reflect more joy and true personality when your entire photography experience is ease-full. The Golden Rule applies here — if this was my wedding, how would I like to be treated? As your wedding photographer, I am committed to being 100% prepared, to listening to you, and to creating a product that delights you now and in years to come. Q: How are my photos delivered? You’ll receive full-size, digital JPG files with a print release, by download from your personal Client Gallery. Your Client Gallery also has options to share & view with friends on your cell phone or computer, order fine art prints through the built-in system, and of course download your files with two easy clicks at no additional charge. These online galleries are great! If your mailing address is in South Carolina or the United States you’ll also receive an Oriana Photography flash drive by mail in a pretty container made from natural materials. Aw snap! Yes! I learned that many of my previous clients were struggling to find time to print their wedding images. After surveying past couples, I decided to offer more full-service print options. I now offer custom Heirloom Wedding Albums that can be added as an option to any wedding package. It’s been amazing to watch clients see their albums for the first time! As much as we live in a digital age, favored websites go out of fashion and technology changes. 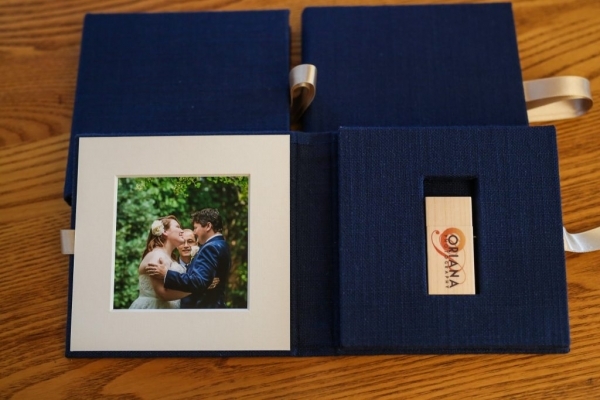 A printed heirloom album is a wonderful physical way to enjoy and share your wedding images for generations. I also offer fine art prints, wall art, and parent albums (a smaller replica of your full album that makes a great parent gift). Of course! I always bring backup gear including extra camera lens, flash – and lots of extra batteries! There is no limit to the number of images that you will receive. As your photographer my priority is being present for those authentic unique moments and creating a quality collection for you. Though every wedding is unique, I have found that on average I deliver between 50 to 60 final images per wedding shooting hour, or about 300 photos for 4 hours of coverage and 500 or more photos for 7+ hours of coverage. More than a number, I want you to have a collection of fantastic, inspiring images that transport you back to your wedding day, and show the love present for you that day. Q: What kind of editing do you do on the photos? Adjust for perfect color and contrast. I shoot in RAW format (the best quality but requires adding contrast by hand), and I give every photo individual attention while editing. Julia is my photo editor who assists by bringing the photos to about 70% done, and then I personally make the final touches to the image. Your images are created with love and care from start to finish. Q: Will you include black and white photos? I love color. But I do find black and white has a place in wedding photography. Your collection will include some select black and white images, as well as a handful of more stylized/artistic edits. The vast majority of your photos will be in full, brilliant color. Ah yes, this is a big one — you’ll receive an email from me with first highlight photos within 48 hours of your wedding! You’ll also receive preview photos, and your full collection will be complete for lifetime enjoyment in approximately eight weeks. If you have a special event coming up after your wedding or want to have the images more quickly just because, let me know. Depending on the time of the year we may be able to do that, especially if we know before the wedding. Q: Can I print the images? Yes, you have full license to print the photos for yourself. You may use any printer of your choice, or choose to use fine art print services through your client gallery. 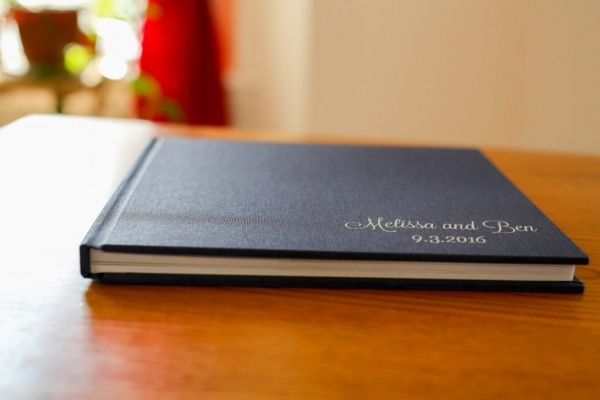 And if you missed it, check out the FAQ about wedding albums above! Q: We’re eloping! Do you offer any special collections for elopements? Congratulations! Yes, I do offer custom options for elopements and vow renewals. An elopement generally only has 2-4 people present, which is reflected in more modest photography pricing and coverage time. Tell me more about your elopement or vow renewal! Q: Do you shoot wedding video too? A: Yes! Oriana Photography now works with a filmmaker to offer a custom beautiful wedding film for your collection! Q: Where in Charleston, South Carolina do you offer wedding photography? I am based in James Island, South Carolina which provides easy access to amazing beach and historic locations. Travel is included up to two hours! Further than 2 hours, we chat and I will create a custom package for you. I especially love outdoor ceremonies, bontanical gardens, beautiful churches, and the beach as locations. 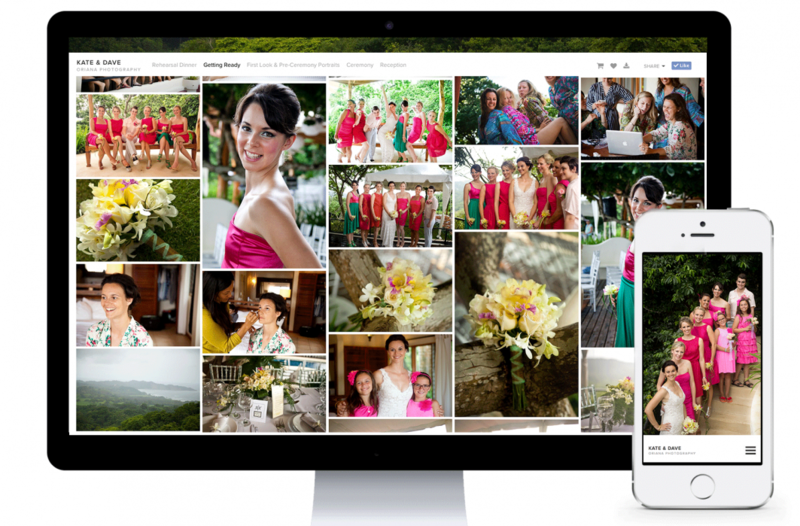 Q: Where in Costa Rica do you offer wedding photography? In addition to the beaches of Nosara, I offer destination wedding photography in locations throughout the Guanacaste region of Costa Rica, including RIU Guancaste, Playa Samara, Playas del Coco, and Tamarindo. Oriana Photography was born in Costa Rica and works frequently with Tierra Magnifica, Weddings Nosara, and La Luna. Within Nosara, Costa Rica, I am very proud to have been named a #1 preferred photographer 2015 + 2016 for Tierra Magnifica, a luxurious ocean-view venue in Playa Guiones, and also named of the country’s top 15 photographers. Q: I’m ready to book! What’s next? That’s excellent! Contact me with the form below or email to hola@OrianaPhotography.com. On email or phone we’ll chat about your wedding photography preferences, etc. Once we know we’re a good match, I’ll share our contract and retainer invoice, and begin your great wedding photography experience. Then, celebrate by kissing your fiancé! Q: How do I find out more about your wedding photography packages and rates? Email with your location and wedding date. Our Wedding Photography Brochure is available to by request. Contact me and let’s connect for the details! I look forward to hearing about your wedding!